Join a diverse mix of artist, farmers, environmentalists and guests for a discussion around the social, environmental and cultural possibilities of the TSR ecology. 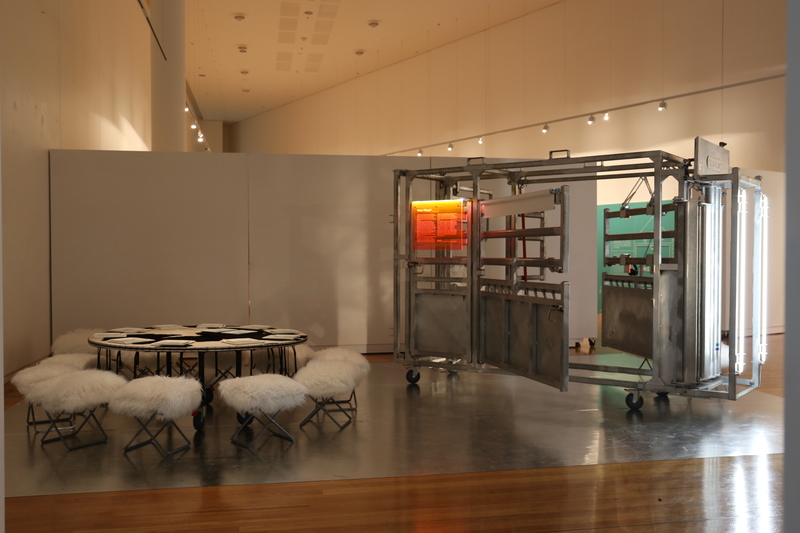 Together with Wagga Wagga Art Gallery we are delighted to present a unique opportunity to explore the intersections of art, agriculture, science and culture, with a special Public Roundtable presented in conjunction with the fascinating exhibition currently on display, The Long Paddock. On Saturday 15 July, at 10am, you are invited to join a diverse mix of speakers including artists, farmers, researchers and environmentalists for a discussion around the social, ecological and cultural importance of the vast network of Travelling Stock Routes – the inspiration and focus for The Long Paddock exhibition. 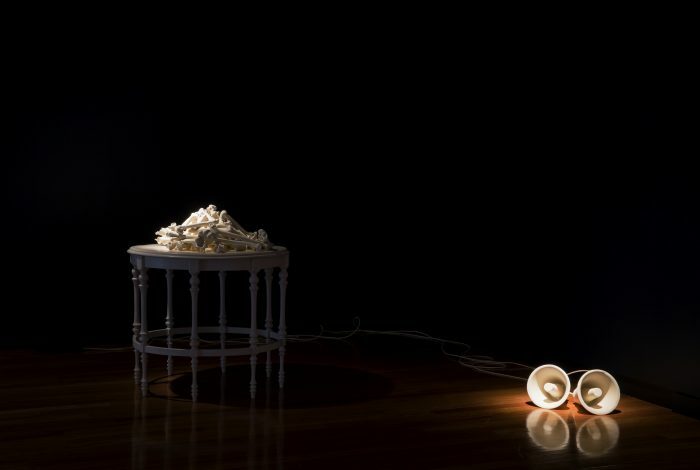 Curated by Joni Taylor from the New Landscapes Institute, The Long Paddock includes work by emerging, established and highly innovative artists including Zanny Begg, Megan Cope and Bill Buckley, Hayden Fowler, Future Method Studio, Grandeza, Josephine Starrs and Leon Cmielewski, and The Wired Lab. 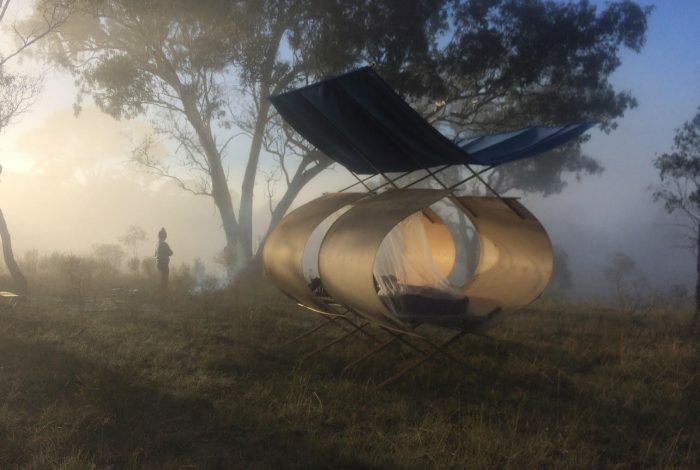 The artists have been inspired to respond with video, sculptural and sound-based installations to the Travelling Stock Routes system of shared regional trails that stretches across Australia. The roundtable is facilitated by Dr Lucas Ihlein, an artist who works with farmers. Lucas is a member of Kandos School of Cultural Adaptation (KSCA) and a Research Fellow at the University of Wollongong. Kylie Durrant, conservationist who has worked in Natural Resource Management in the region for over 15 years, and worked in the farming community on Landcare and other catchment management projects. Lorraine Tye, Wiradjuri Elder and Artist whose work is included in the Hands On Weaver Inc collaboration Murruway-dya Waybarra Mawang in the Wagga Wagga Marketplace. Christopher Orchard, artist and interdisciplinary researcher at Charles Sturt University’s Wagga Wagga campus, whose work investigates natural resource management, agriculture, ecopsychology and the environmental humanities. Prof Tim Wess, Executive Dean of Science, Charles Sturt University advisor to projects on Cultural Science with the Environment Trust. Joni Taylor, Curator of The Long Paddock exhibition and founder of The New Landscapes Institute, a nomadic research initiative that facilitates art and architecture collaborations. Sarah Last, co-founder and director of The Wired Lab, an artist led organisation based at Muttama evolving interdisciplinary art practices in rural Australia. Please get in touch if you would like to participate. We will also be adding to our audio archive of local stories about the TSRs, so please get in touch if you would like to be interviewed. This is a free event and everyone is welcome. 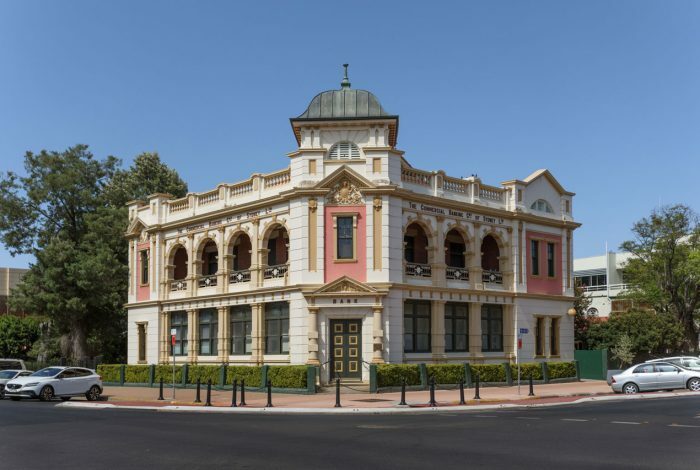 However seats are limited, so contact the Gallery to book your place for this unique occasion – by phone on 02 6926 9660, by email at gallery@wagga.nsw.gov.au, or in person at the Gallery in the Civic Centre, on the corner of Baylis and Morrow Streets, Wagga Wagga. The Long Paddock project is supported by Create NSW, Australia Council for the Arts, Wagga Wagga Art Gallery and Performance Space.